County Executive Andrew J. Spano became Westchester's seventh county executive on January 1, 1998. 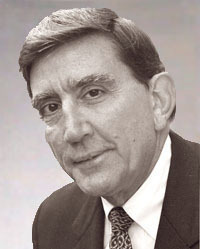 He was re-elected to office in November 2001 and November 2005. Mr. Spano was the second Democrat to be elected to the county’s highest office. He was president of County Executives of America, an organization representing the interests of counties nationwide. As County Executive, Mr. Spano initiated dozens of programs to improve the quality of life in Westchester: Programs that protect the environment, encourage affordable housing, combat domestic violence and enhance the security and safety of all county residents. A protector of the environment, Mr. Spano preserved 2,300 acres of open space from Yonkers to Yorktown and instituted programs to protect water quality. He tripled, to $30 million, the County’s New Homes Land Acquisition Fund, which helped builders of affordable housing overcome the high cost of land. Through the Westchester and Jandon Scholarship programs, initiated by Mr. Spano in a partnership with private foundations, more than 300 young people whose families are on public assistance have received computers and college scholarships. Under his administration, the county expanded day care and instituted programs to protect children against predators and addressed problems such as teen drinking, smoking and obesity. In 1999, Westchester created the Domestic Violence Legal Program, a nationally recognized center where women could get orders of protection, legal representation and child support all in one place. The program is now available in White Plains and Yonkers courts. From 1982 through 1994, Mr. Spano was Westchester County Clerk. He later served as Managing Partner of Digital Possibilities, LLC, an Internet marketing company he started in 1995. Before coming to government, Mr. Spano spent 25 years in public education where he distinguished himself as a teacher, counselor, and administrator, serving children with special needs. He was one of the founders of the United Federation of Teachers in New York City. He has been the recipient of numerous awards in the areas of human rights, education, government and labor including an honorary doctorate in Commercial Affairs awarded by Pace University in 2004 and The O’ Hare Medal awarded by Fordham University’s School for Social Justice in 2005. Born April 17, 1936, Mr. Spano grew up in the Bronx and holds bachelor's and master's degrees from Fordham University. He and his wife, Brenda Resnick Spano, live in Yorktown and have six grown children and six grandchildren.